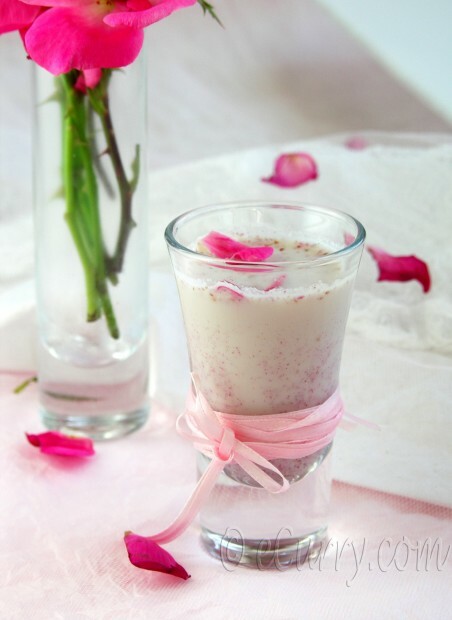 Rose Milk is simply a blend of milk and tender fragrant rose petals. It is simple but elegant and conjures up an image which is truly unique and very much like a fairy tale; dreamy pretty pink (hmmm…not exactly), exotic and meant just for girls and little dainty glasses. (Now that is not quite pink, is it? In my over zealous effort to make the it a darker shade of pink than we usually have, I had used more red roses this time, and the hue went a little beyond dark pink; no artificial colors here. It surprised me beyond words, it was very unexpected but I have to say I love a drink of this beautiful color even more than pink). All the lavender was lost in less than 20 minutes and the shade did get lighter once the petals settled down. October is the Pink Month – the National Breast Cancer Awareness Month. The NBCAM is an organization promoting the Breast Cancer Awareness, and sharing information on Breast Cancer. I have lost the most precious person in my life, my mom, to cancer (not breast cancer); a loss that was too sudden – she was only 52. A loss that I still cannot talk about easily without that heart wrenching hurt and going back to those few months of unbearable physical and emotional pain for her and all of us is a torture. A loss that we have to live with for the rest of our lives, a deep gash in the heart that will never heal. It is a disease that took away my children’s grand mom away from them, whom they will never meet, never laugh with or share a precious hug. We have known too many to be affected by cancer and breast cancer; My aunt is just getting stabilized after a year of intensive treatment, my cousin’s wife is going through it again the second time, our very close friend M, who fought with all her might, and finally beat the disease to lead a happy life now. A’s cousin who fought for many years and is not with us any more. My dear friend S from college, our family friends D and Ms. B are proud survivors. Let this be a tribute to all whom we know and do not know. The Pink Ribbons and the Pink Hearts and Pink Flowers that are in the outline of the stores, blogs and innumerable spots everywhere are to raise the awareness, to get the mammogram done for early detection, and to raise funds (see Susan G. Komen for Cure) for those who are in need- for prevention and cure. This is a month dedicated to those who have fought to win or lose the battle, to those who are fighting still, to the survivors who inspire and to all those who deserve the very best and deserve to live a healthy, vibrant and beautiful life. Ours prayers and wishes are always there for all those who have fought and are now battling with cancer, to the families who have lost dear ones and to the survivors. We know how it is, for we have been there. The four rose bushes in our front yard are blooming again. They are fresh, bathed in dew and happy after the severe heat of summer. Since we do not spray our roses, they are good to eat. Other than adorning our front yard and making our home look better, the roses participate well in our gastronomic experiences too. Every year the kids enjoy the lovely rose honey, and we also use a lot of the fresh petals with yogurt, in salads, shakes and of course to make desserts. 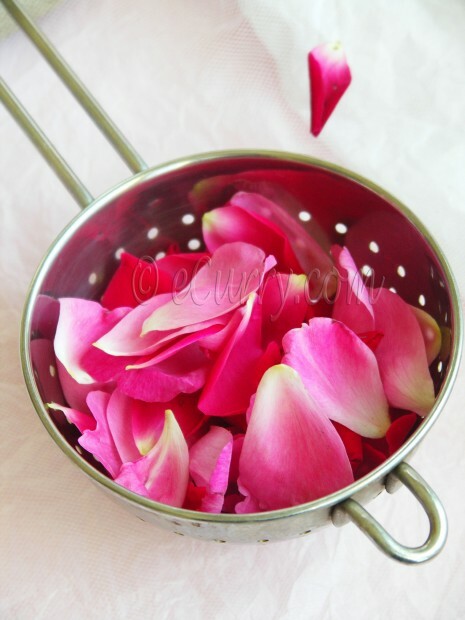 If you are using fresh rose petals, make sure they are without chemical sprays and wash them well before use. 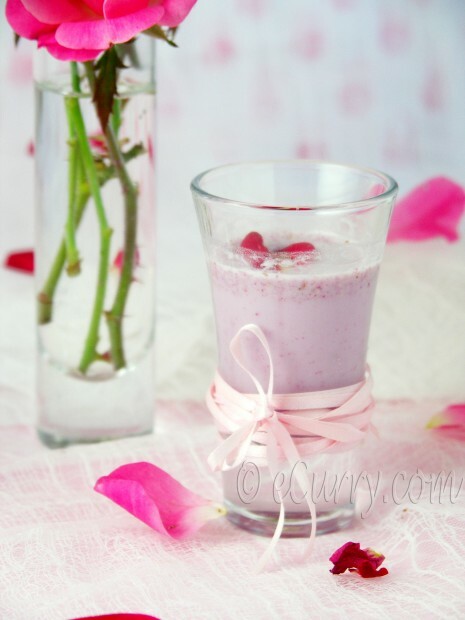 As exotic as it might sound, rose milk is very popular in India. However there are rarely any place where they serve rose milk with fresh petals. The milkshake is usually made with ready made rose syrup. I am fortunate enough to be having these wonderful blooms at home, and I like the taste of the fresh petals way more than the bottled syrup. When I make the milkshake at home for my children, I add almonds for more nutrition and almonds pair well with the flavor of rose. Having to feel the rose petals in your mouth while you sip this elegant drink, is a luxury. 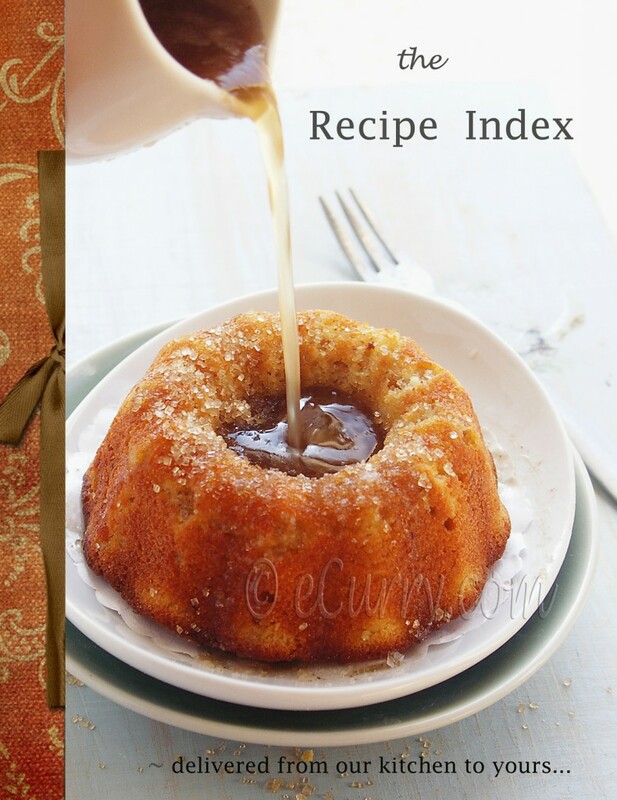 A little glass would also make an elegant dessert. 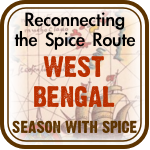 It makes the kind of dessert that will make you ask for more; exotic, rich, creamy, fragrant and sweet. Celebrate your special times with a pretty glass. Combine water, sugar and rose petals in a pan and simmer over very low heat for about 2-3 minutes; just long enough for the petals to soften a little and the sugar to dissolve. Let cool. 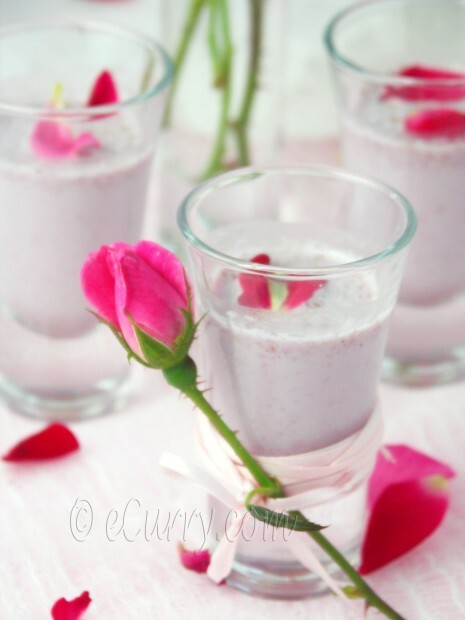 Blend the rose petals and sugar mix and all the other ingredients together till smooth and frothy. Garnish with more rose petals. Serve chilled, in little shot glasses and use part heavy cream or half and half and part milk. You could even add a splash of rose liquor. (just an idea; I have never had the rose liquor). A lovely post for a good cause! That is a wonderful recipe. Gorgeous post! I was wondering what to do with my pomegranates! This is a nice way to make October pink. Yes, there is much money being put into Cancer research. No one is untouched by its shadow. Hope they find a cure or some prevention soon. Nice post for a good cause, beautiful presentation! 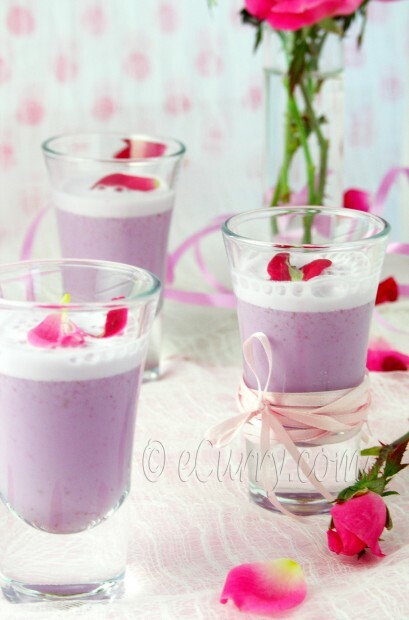 How on earth do u manage to make even a simple rose milk look so spectacular!!! hats off ma’am…fantastic! Loosing someone close is in itself a heartache and when its sudden I can only imagine what happens! We have to fight this disease with all the patience and enthusiasm. 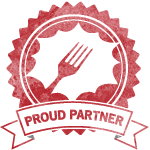 Love your PINKTOBER recipe! Keep up the good work! Wonderfully delicate looking drink for a great cause. I have never tried the rose milk before, so yummy! I wonder why one of my favorite Indian hangout does not serve it, they have a Mango Lassi though and I love it and looks like Rose milk would be in same category too. Thanks for the idea. Soma, I lost my aunt through ovarian cancer & another aunt is recovering from chemo for her breast cancer. As a woman, we need to educate our fellow sisters about this wretched disease. 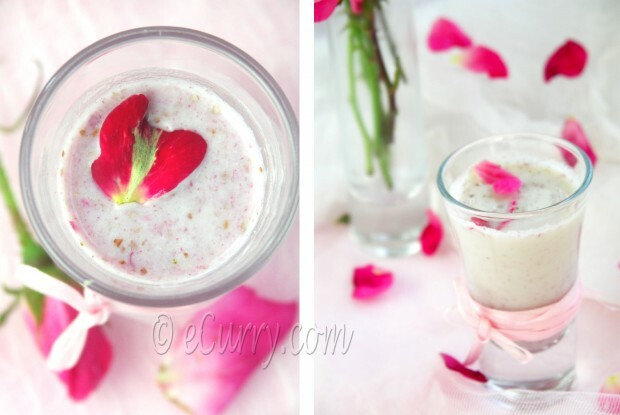 Your recipe for Rose Milk is lovely! I would really love to try this drink with real rose petals. I don’t think we can get them anywhere here in Greece, unless you have your own garden and roses. 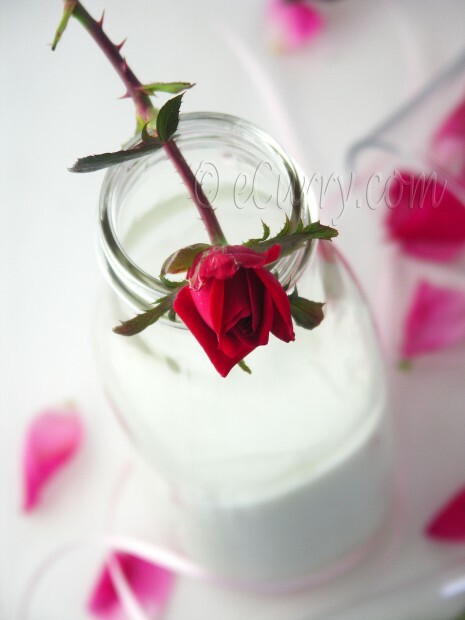 I use rose cordial in milk and I just love it. We wer ejust talking aobut this topic y’day int he family about loosing someone close to you. Yeah remeber the rose milk in those small bottels we get in the stations in India, i used to love them when i was little. Wow, great post and lovely creation! Simple and elegant. Great cause, my family has lost loved ones to breast cancer too..our prayers are always with those suffering. This pink is for hope. It is heart breaking that u ve met so many close family members, friends affected by this devil disease. 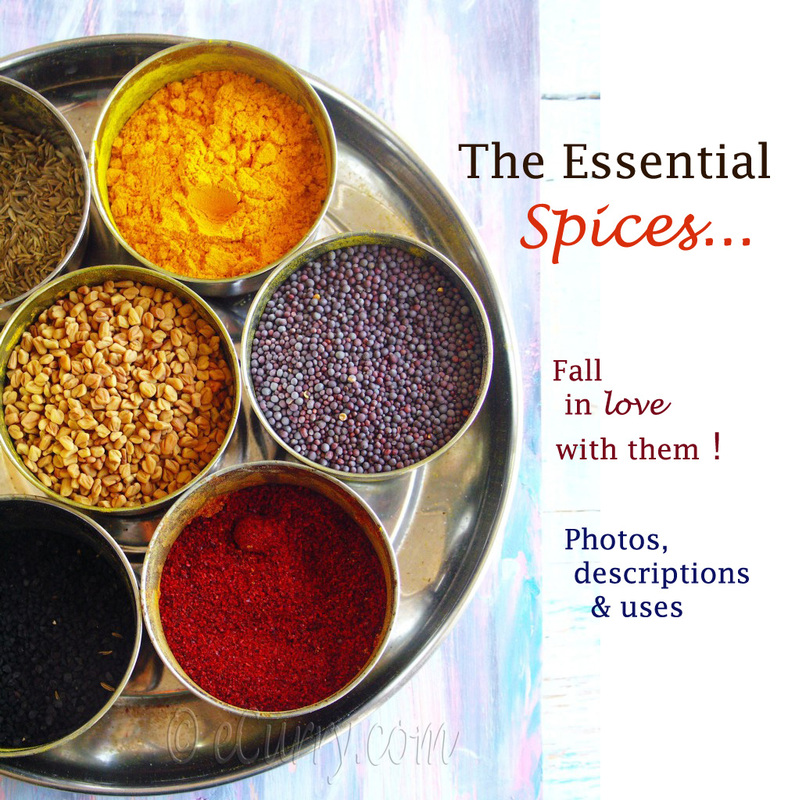 Beautiful post and pict dedicated to the month! Beautiful post Soma! Like you, I too have lost my mom due to breast cancer and she was only 44 yrs… still after 13 years I terribly miss her absence….I know the never healing pain of loosing our mom….Hugs to you Soma…. Often when I have had rose milk, the beautiful pink always reminds me of strawberry nesquik. 🙂 beautiful presentation as always. What a gorgeous post for Pinktober! And I love the color of those cocktails… Indeed not quite pink, but stunning color nonetheless! Awwwww… how pretty, loved it, I never had anything with the actual rose petals, only rose water. That must be so yummy, will definitely going to try it. Your photos are so pretty! And this is a delightful looking drink – who wouldn’t love it with that lovely colour? What a great recipe for a wonderful cause. I’ve made things with rose water before but I’ve never ventured to make anything with fresh rose petals! 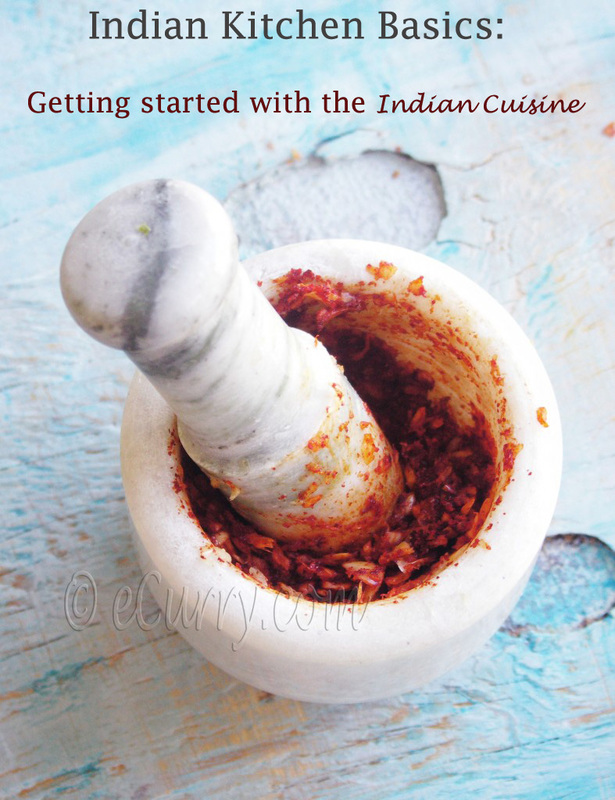 First time on your Blog:) I love your recipes and the pics too. Thank you! I am sorry I do not know where yiu can get to buy fresh rose petals. I have rose bushes in my yard and since we do not use pesticides, I use the roses from my garden for my recipes. Sorry could not be of much help.